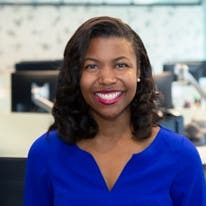 Amanda Dixon is a senior reporter covering banking. Prior to joining Bankrate, she served as a writer and editor for SmartAsset, a New York-based fintech startup. Originally from the metro Atlanta area, she's a University of Georgia alum. She enjoys providing an inside look into what banks and credit unions are up to and offering tips and tricks to help consumers save money and build wealth at every stage of their financial lives.